It’s not the barnstorming flying circuses of a century ago, nor a barnstorming baseball exhibition. But if you live inside what the University of Nebraska calls its 400-mile-wide campus, chances are the university will make a tour stop at a gathering place near you. 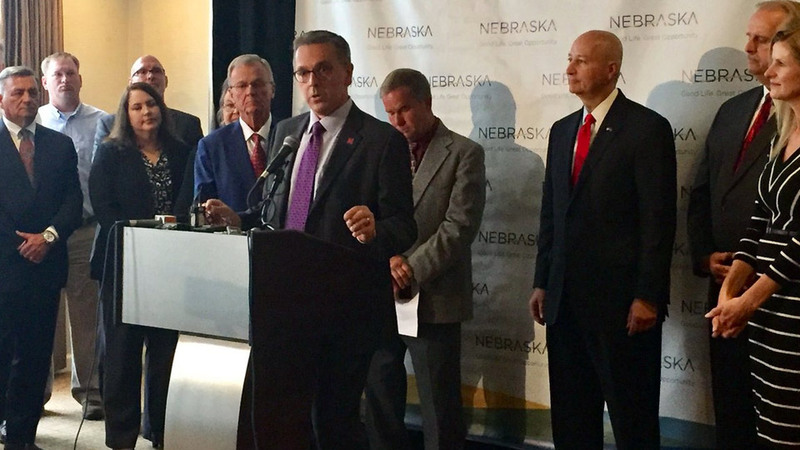 With school a few weeks away, Chancellor Ronnie Green and others representing UNL have criss-crossed the state to discuss Nebraska's largest public university campus in coffee shops, hotel ballrooms and high school cafeterias. 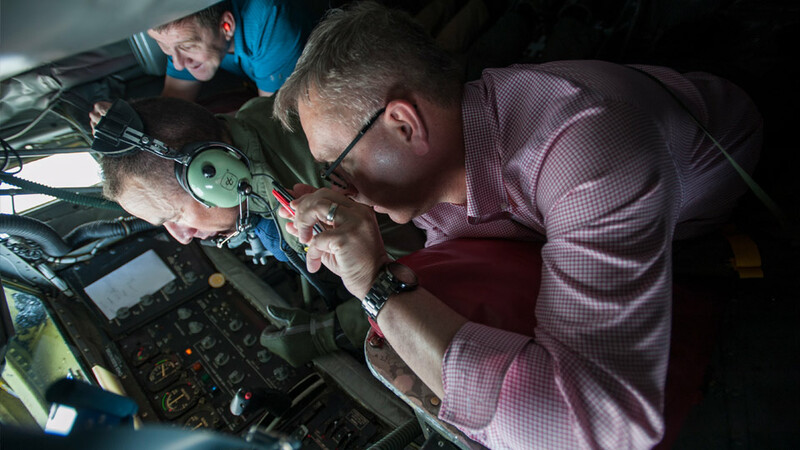 Chancellor Ronnie Green and other university officials were among civic leaders who participated in a Nebraska National Guard refueling flight on May 24. The flight allowed participants to see firsthand how members of the Nebraska National Guard's 155th Air Refueling Wing accomplish the task of adding fuel to fighter jets soaring at 35,000 feet. Nebraska Governor Pete Ricketts launched a new international trade council to identify business and research opportunities overseas. 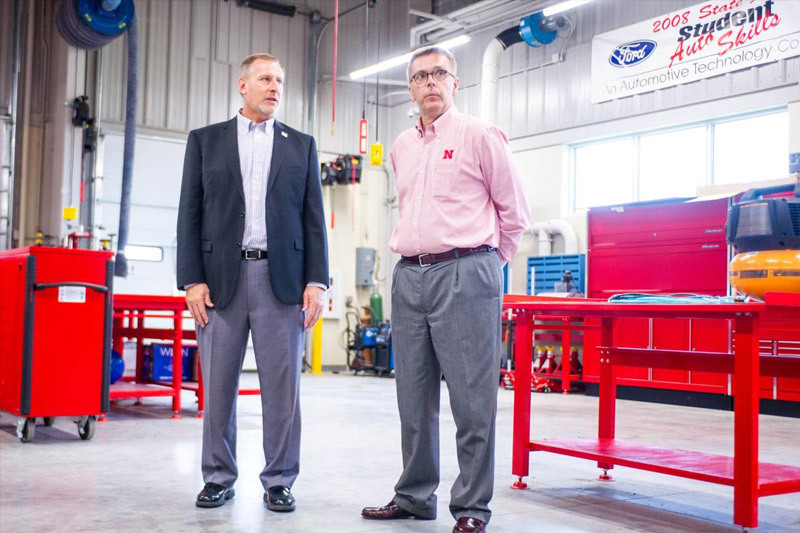 The council's membership includes leaders from 20 different groups, including Nebraska Farm Bureau President Steve Nelson, Nebraska Chamber of Commerce and Industry President Barry Kennedy, and University of Nebraska-Lincoln Chancellor Ronnie Green. When the American Society of Animal Science presents awards at its July 9 annual meeting in Baltimore, those in attendance can expect to hear the University of Nebraska-Lincoln’s name announced frequently. 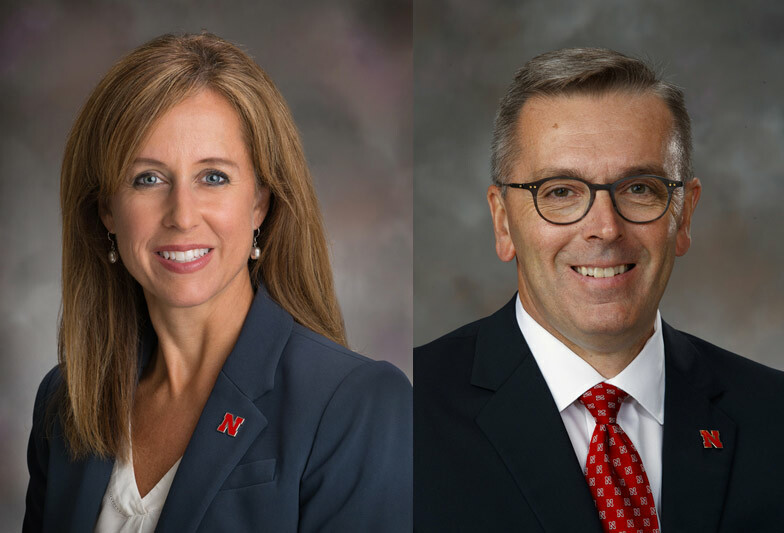 Five Nebraska faculty and administrators have earned national awards from the society — including Chancellor Ronnie Green, who has been selected to receive the national association’s most prestigious honor. University of Nebraska-Lincoln Chancellor Ronnie Green and Chief Communication and Marketing Officer Teresa Paulsen were named 4-H Luminaries by the National 4-H Council March 21 in Washington, D.C. Luminaries are an exclusive group of accomplished and influential 4-H alumni who will help raise awareness of 4-H’s life-changing impact and generate support for bringing 4-H to more youth. Green and Paulsen are part of the 40-member inaugural class. 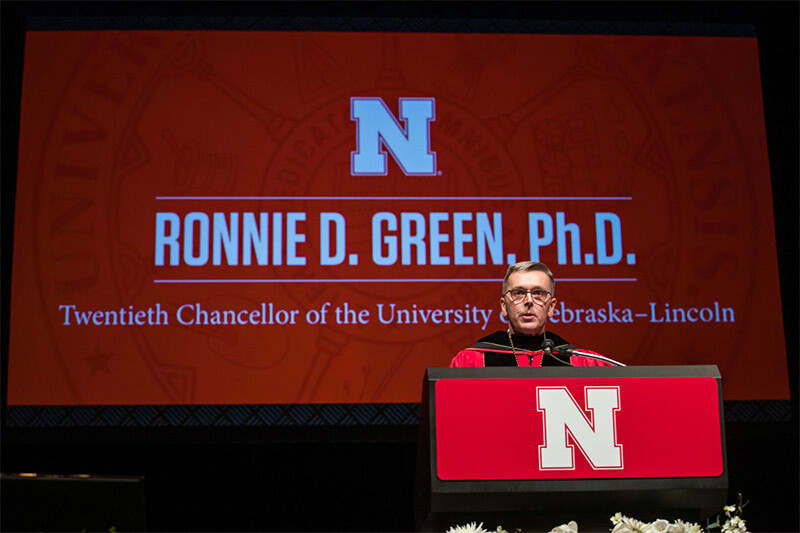 Ronnie Green on Thursday called on the University of Nebraska-Lincoln to tackle the 21st century in a speech before faculty, staff, administrators and others during his installation as the campus' 20th chancellor. 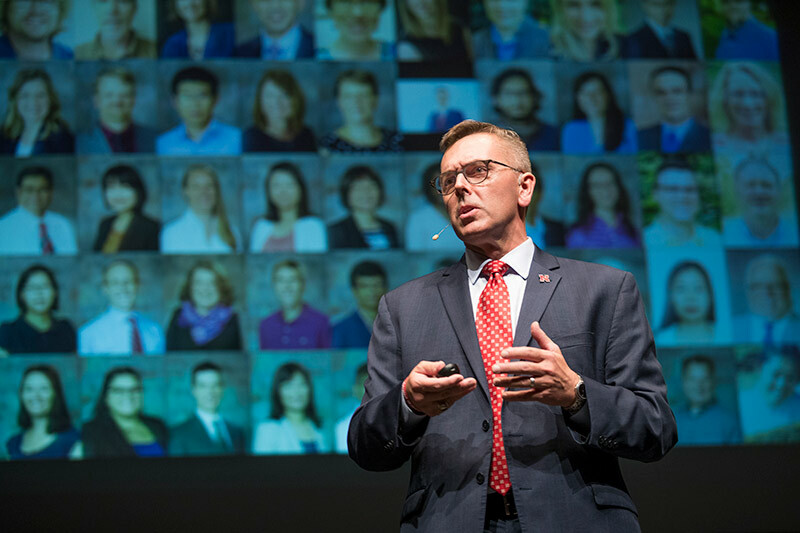 Tracing education's role from before the founding of the United States, through the signing of the Morrill Act creating land-grant universities, and peering into the future, Green said UNL is intertwined in both the state and the nation’s DNA. With the University of Nebraska-Lincoln’s enrollment at record numbers and research at UNL also on a roll, 2017 will be an important year as the university begins to chart out its future and how to maintain and increase that growth. 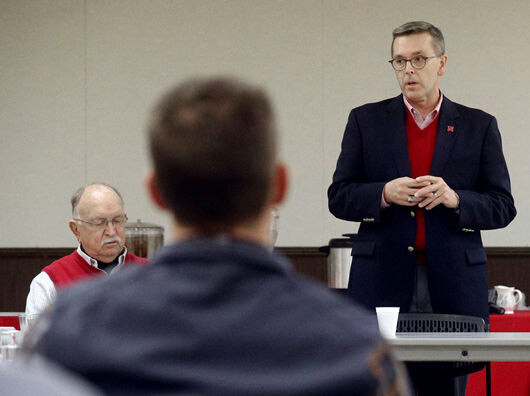 That’s according to the University of Nebraska- Lincoln Chancellor Ronnie Green, who was in Aurora Wednesday to discuss the university, its achievements and its strategic goals. About 30 people attended the meeting. University of Nebraska-Lincoln Chancellor Ronnie Green was appointed to lead the Association of Public Land Grant Universities' Commission on Food, Environment and Renewable Resources. The commission supports research, extension and teaching in issues tied to agriculture, food, human sciences, the atmosphere, oceans, climate and veterinary medicine among 236 member public research universities, land-grant institutions and state university systems. 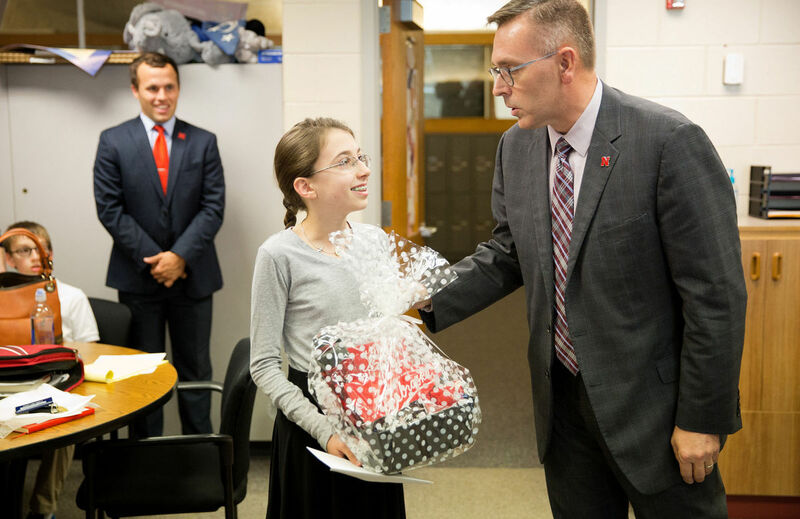 Three students who aced the ACT while still in middle school made the news Tuesday when University of Nebraska-Lincoln officials offered them full-tuition scholarships to attend college. All three students received perfect scores on at least one section of the ACT college entrance exam. The scholarship, which is worth approximately $27,000 at 2016-17 tuition rates, would cover a bachelor’s degree, or 120 credit hours. 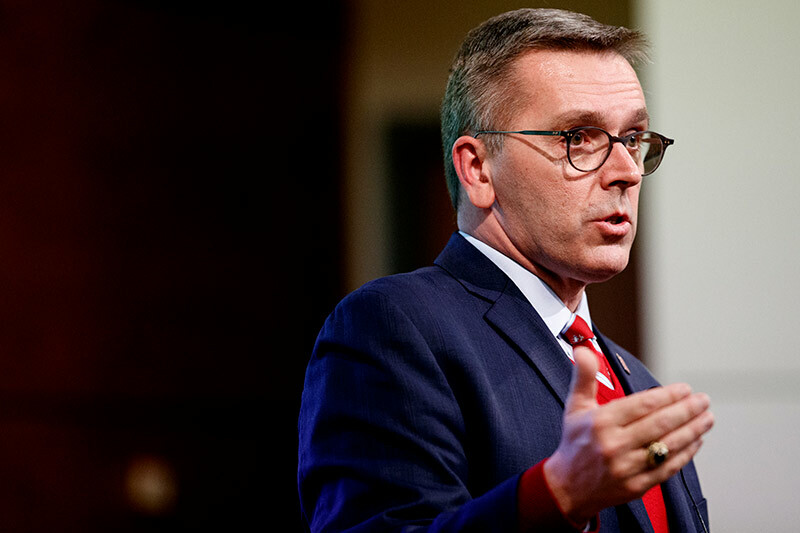 University of Nebraska-Lincoln Chancellor Ronnie Green exhorted his institution to grow and get stronger Thursday during his initial State of the University address. 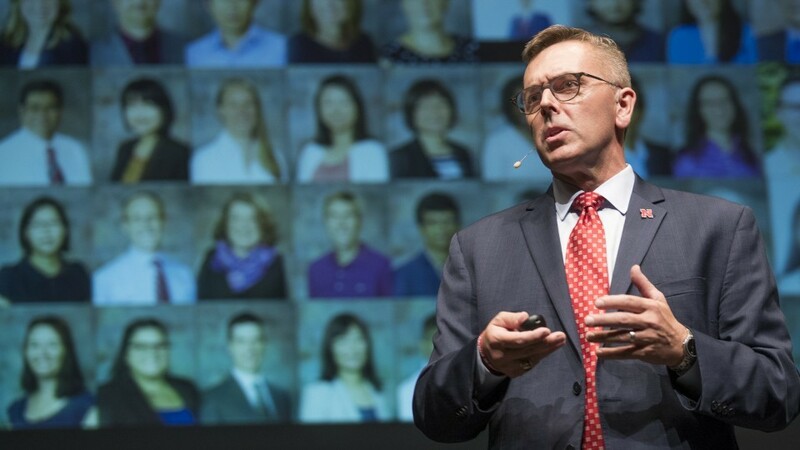 Alternately stroking and challenging UNL, Green set lofty goals for research, retention, enrollment, diversity and other elements in a one-hour presentation to about 600 faculty members, staffers and students at the Lied Center for Performing Arts.